The Hangar 11 Collection based out of North Weald in the UK recently listed their pristine examples of the Hawker Hurricane IIb and Curtiss P-40M for sale through Platinum Fighters Sales. Although this is a big surprise for Warbird enthusiasts in the UK, Peter Teichman at the Hangar 11 Collection explained that, “it isn’t a quick process to sell aircraft of this type, so I am not counting on any disruption to our 2016 season. We are very relaxed sellers and are under no pressure until the right home is found for the P40 and Hurribomber”. Mr. Tiechman said that the reason for the sale was in order to focus their resources toward the completion of their rare MK IX Russian Spitfire PT879, which the collection needs hangar space for. 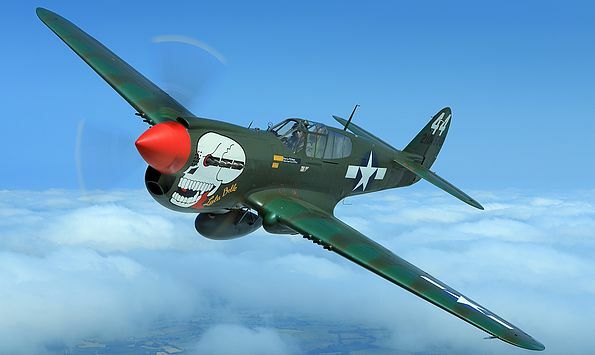 Since Mr. Tiechman began the Hangar 11 Collection in 1999, not only has he amassed an impressive collection of Warbirds, but a collection that has set the standard of high quality restorations. The Warbird Watcher will keep you up to date as more information becomes available and as the futures of the collection’s Hurricane and P-40 are decided.